The end of June is approaching, and the first of the Antarctic fronts are roaring across the high country. 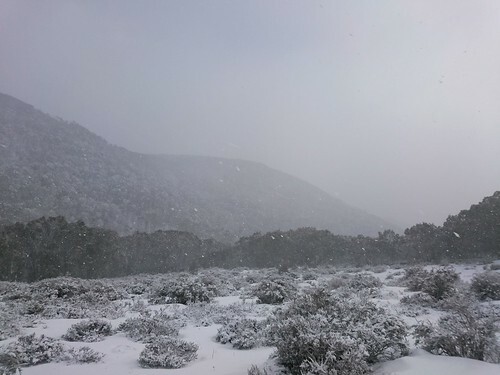 The wind is driving sleet and snow into every crevice, and scouring the open plains above the snow gums. We've ordered our largest batch of sheepskins, kangaroo skins, and waxed canvas yet. In July you'll find us in Kallista, by the warmth of a wood burner, cutting and sewing the Sheepskin Vests and Oilskin Jackets that were ordered in June. It's not too late to get a June order in, for a July make. Otherwise the orders start again in July for an August make.